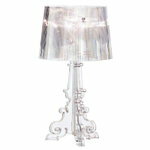 The Bourgie table lamp by Kartell combines baroque style, pretentious shapes and innovative material use. 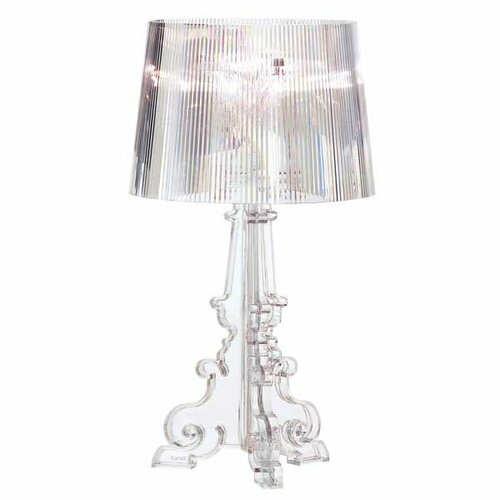 Thanks to modern materials, the lamp can be used in all kinds of decors. Place in on a night stand, side table or use it as a reading light. The height can be adjusted and the table lamp has no dimmer. The Bourgie is designed by Ferruccio Laviani.